Knowledge management as a discipline has matured over the last decade. It has moved from being a mere buzzword to an inherently fundamental concept. Simply put, the knowledge-based assets of the organization are the only source of sustainable competitive advantage in today s marketplace. Traditional resources such as land, labor, and capital, while important, are no longer sufficient for survival in today s fiercely competitive marketplace. Here, Desouza and Paquette provide an introductory overview of KM today. This book balances the theory and practice of KM. Desouza and Paquette consider the issues organizations encounter in the global marketplace. Their book is the first to integrate social media and networking into KM practice. The book s nine chapters are divided into three major parts: Part I covers foundational concepts and introduces the reader to the key elements of knowledge management. Part II explores critical activities of knowledge management. 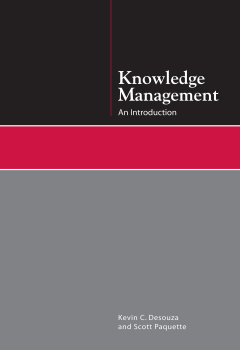 Part III offers a strategic view of knowledge management in organizations. Each chapter provides a broad overview, graphics that help readers visualize key points, and several vignettes documenting case scenarios that will help the reader digest concepts. Knowledge Management will prove ideal for instructors who have been forced to design courses around KM business texts, augmented with scholarly articles. It will also be useful to anyone who needs to better understand KM to apply it in his or her organization. Managing Knowledge Security is a comprehensive reference guide detailing how to secure both the physical and intangible assets owned by a business. Citing international examples such as Hewlett Packard, Microsoft, Google, Boeing, and Amazon, the author covers all aspects of knowledge protection, from employee retention strategies to physical security. Knowledge managers, security professionals, general managers, information systems managers, and competitive intelligence professionals will find the book of immediate relevance, as will members of the defense, national security, and government intelligence agencies. In today's information intensive global economy, large organizations face a wealth of challenges as they wrestle with resolving the tensions between coordinating globally and responding locally. As a result, a prime consideration of major enterprises is to find an organizational design that enables them to accommodate these joint goals. Not surprisingly, given the volume of information that organizations need to process to synchronize globally and react locally, information systems play a key role in enabling pursuit of this dual goal. The acceleration of the shifting plates of social, economic, political, and competitive forces magnifies the need for effective information systems. Thus, the search for organizational agility is intricately linked to and highly dependent on an enterprises ability to build agile information systems that support nimble managers and employees in adapting to and foreseeing changing circumstances Humans are the critical success factor of agility. No organizational design or information system can overcome rigid, closed thinking. The agile mind is the determining driver. This book is food for nurturing an agile mind. It stimulates thinking about agility and galvanizes the neurons that need to be engaged to build agile organizations and information systems. Outsourcing is now increasingly used as a competitive weapon in today's global economy. The Outsourcing Handbook is a step-by-step guide to the whole outsourcing process. It looks at key factors in the success of a project as well as problem areas and potential pitfalls. It provides an objective, repeatable process that allows organizations to maximize returns on outsourcing investments. Unlike most outsourcing books, The Outsourcing Handbook takes a process-oriented, actionable, and structured approach to understanding the intricacies of constructing, managing, and even terminating an outsourcing engagement. Current knowledge management efforts in organizations need to be refocused so that they can be better poised for success. Topics discussed include: missing capabilities of knowledge management, knowledge management in strategic alliances, customer knowledge management, knowledge markets, and knowledge management systems, among others. 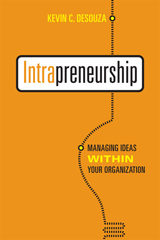 This book defines the new frontiers in knowledge management. Topics covered include: knowledge visualization, knowledge markets, ubiquitous information environments, knowledge flow dynamics, knowledge integration in teams, personalizing delivery systems and knowledge security mechanism. This seminal work presents an effective design for processing information through five stages from data to actionable knowledge in order to influence behavior within organizations. The authors incorporate such concepts as evolution; semiotics; entropy; complexity; emergence; crisis; and chaos theory in an intriguing alternative to crisis management that can be applied to any organization. Their model shows how to evaluate and share information to enable the organization to avoid disaster rather than simply respond to it. Additionally, the text presents the first attempt at a multi-disciplinary view of information processing in organizations by tying associated disciplines to their respective impacts on the information process. Illustrations used in the text include an overlay that demonstrates how the non-use of information between agencies contributed to the 9/11 disaster, and an appendix addresses Organizing for Cyberterrorism. In clear, readable language, consultant and researcher Kevin Desouza accomplishes an unlikely feat: explaining artificial intelligence to nonspecialists in a way that experts will recognize and accept as correct and immediately applicable.